a man walks into a bar and says "i just got back from the battered woman's shelter, and boy are my arms tired!" everyone laughs. 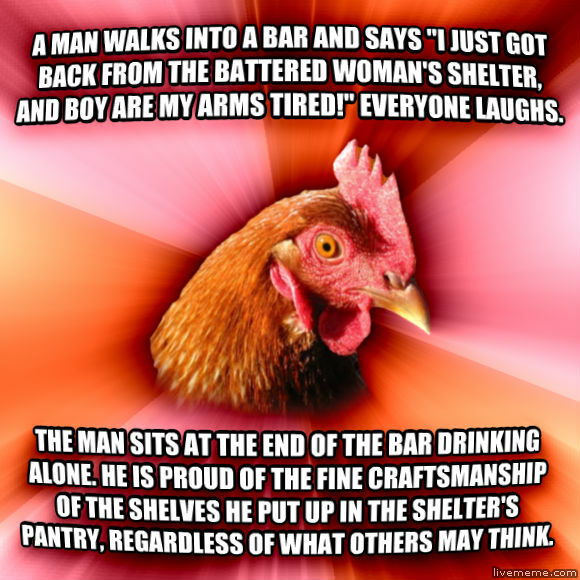 the man sits at the end of the bar drinking alone. he is proud of the fine craftsmanship of the shelves he put up in the shelter's pantry, regardless of what others may think.